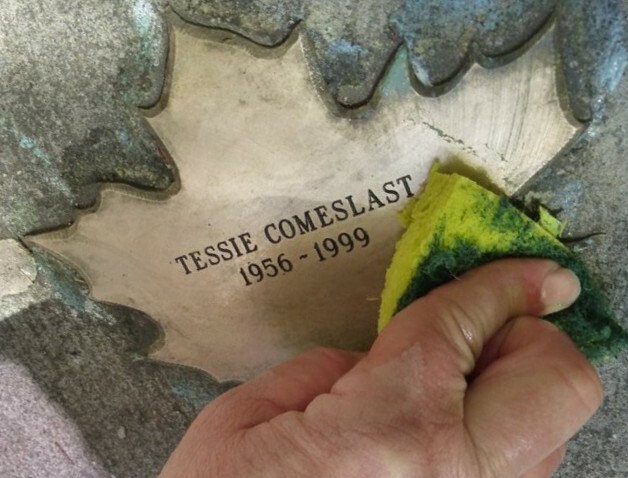 Leaf of Remembrance for Tessie Comeslast, being cleaned May 2013. Photo by Michele Marchand. Tessie’s leaf is placed at Angeline’s.